Should I Consider a Product Change from Chase Ink Plus to Ink Preferred? Should I Consider a Product Change From the Ink Plus to Ink Preferred? After writing up my article earlier this week about what still earns 5X with the Chase Ink Plus and Chase Ink Cash cards I started thinking about whether or not a product change to the Chase Ink Preferred makes sense. I know most of you are thinking no way, and I was there too, until the recent devaluations to the 5X earning rates. But I think it may make sense in some situations. This is more me thinking out loud than a recommendation to anyone. And it is a thought exercise more than anything. The answer to whether or not this makes sense comes down to each individual’s situation. That is a lot to lose. PPDG is the biggest loss for me. As a gift card reseller that was an easy way to pump out a ton of Chase Ultimate Rewards points. And they were all earned from the comfort of my couch :). I don’t “increase spend” with the card as much as some do. As I have said in the past I only increase spend when it is very profitable and buying Visa gift cards at office stores without a sale isn’t really my style. For me, the return just isn’t good enough to get on the Walmart money order wheel. So that left me comparing the two cards and thinking about whether or not this makes sense. You need to understand my situation to get a better understanding of my thought process. I have the Chase Ink Plus card but no other premium Chase UR earning cards. I do not have the ability to get another one since I am way over 5/24. 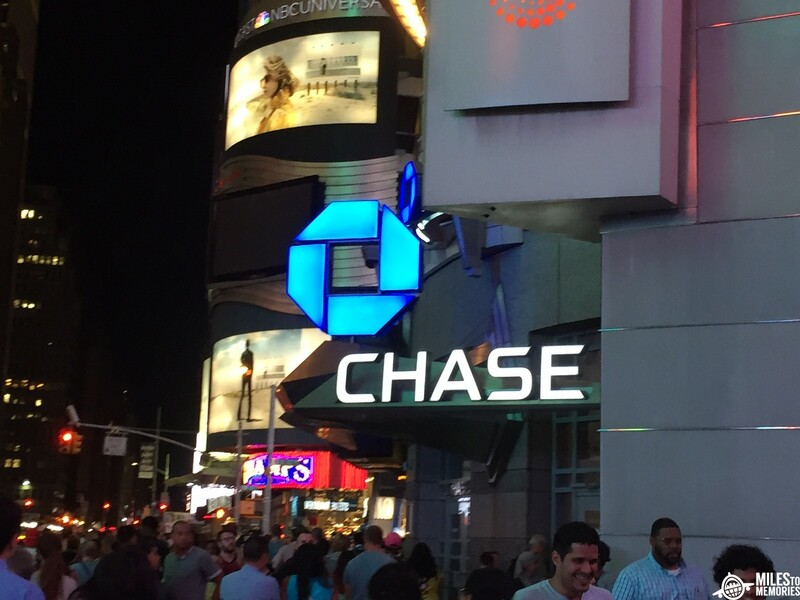 If I had a Chase Sapphire Reserve or Preferred card (or even the ability to get approved for the Chase Ink Preferred) then I would simply downgrade to the Chase Ink Business Cash card. But since I need a premium card to make transfers possible my choices are stay with the Ink Plus or product change to the Chase Ink Business Preferred card. Not having the CSR or CSP leaves me without a card that earns bonus Ultimate Rewards points on travel as well. The Ink Plus earns 5X on internet, cable, and phone services so the Ink Preferred is a step down for that category. The Ink Preferred offers bonus points on travel, advertising, and shipping purchases which are not offered by the Ink Plus. CLICK HERE to compare this card and other business cards. With the loss of PPDG earning 5X I am no longer going to come close to the $50,000 limit on 5X earning each year. For some $50,000 is still an easily obtainable goal. I earn 5X from cable, internet and phone currently which would go to 3X earning. The costs for those are only a few hundred dollars a month so it isn’t really that much of a loss in my opinion. I don’t spend any money on social media advertising but that category alone would make this a no brainer decision for some. For Travel I do my best to spend as close to zero as I can but there are still expenses that I could take advantage of. And I don’t currently have a great go to for travel purchases. I use an Amex Platinum for flight purchases and the Citi ThankYou Premier for my other travel purchases. Shipping is an interesting one since I have been reselling a little more lately. I do most of my selling on eBay so my shipping costs have started to increase. If I continue to grow this aspect of my spending then this could become a big bonus category for me. These are all of the things I need to consider when making a decision. The best thing I could do would be to crunch the numbers and see which card offers the best return on my spending pattern. I am probably going to stick with the Ink Plus for the time being. Some of my hesitation may be fear of letting go of a card I can never get again and some may be from the Ink Plus being my favorite card for many years. I plan on seeing how my spending goes the first half of this year and doing a comparison to see which card would have earned me more points. With my application issues as of late I need to maximize the return from my spending now more than ever. And if the office store sales don’t start rolling in, or if Gyft or Swych get dropped as well, I may make the leap sooner rather than later. Let me know what you think in the comments section. Is it worth considering? Have you found yourself considering making the switch? I think you have to balance the loss of 2x (5x-3x) points on internet and cell and the loss of 5x rewards at office supply stores with the gain of cell phone protection. You need a premium card either way. And you already have 3x/5x rewards on travel. I would consider 3 UR points >> than 3 Citi TY points so that should probably be put into the equation too. I will stick it out most likely but I think 5X earning is going to continue to take losses so I think the gap will continue to shrink. I wish the CIP earned 3x at office stores too then it would be easy lol. The us bank altitude could be a good non airfare travel card could substitute for the ink preferred, allowing u to keep the ink plus. Also, once the ink plus is gone, you can never get it back. I traded my plus in for a preferred after I downgraded my sapphire reserve when I stopped MS’ing. Good luck with your decision. Thanks Steve. Something to consider. which card still earns 5x at office supply stores? The Ink Plus does if you already have one but it is no longer available to sign up for or the Ink Cash does and it is still available for sign ups. The CSR gives 3x (or .045), so it seems to me you are already covered on travel expenses? That is quite the generous valuation of Hilton points imo. I value them at .004 since that is their baseline pay with points price. I know you can get more value then that sometimes but I put it more in the .004-.0045 range personally. I actually typically receive 7-8 cents by the time I am upgraded to a suite, but using even your most recent travel at the Casa Marina of a $450 room (incl taxes, fees) for 80,000 points is close to 6 with taxes & fees otherwise paid considered. I stayed in a $950 signature suite at the Waldorf for 95,000 pnts which is closer to 10. I guess just depends if you value/seek a better room or not. You are correct that .06 is high if staying in $125 standard Hampton rooms at 30,000 points/night (& which very well may be the case if you always use points for all rooms). You know I do 🙂 (almost always use points for rooms). I don’t tend to value the suite upgrades into my redemptions since I would get those with or without points assuming I have the status. Other things to consider would be the Ink Preferred offers primary insurance where the Aspire would not (assuming it is a work trip). Also if you have to go through Amex Travel to book flights then you can’t use cash back portals etc. when booking the flight. Everyone has their own favorite points/loyalty programs though and knows how to take advantage of those. This was more focused on the loss of 5X earning capabilities which is leveling the playing field between the 2 cards. I get suite upgrades MUCH more regularly with all programs using points than first paying for a baseline room. Is counterintuitive but is also how it works for me with Gold status with most programs. That is kind of crazy since I assume they get a lower rate from the points than they would low end rack rate. Better for us though :). I wonder with the changes if I would earn more UR going with the preferred but the 5X is hard to leave behind even if it is dwindling. I think if Gyft and Swych go the route of PPDG I would make the switch at that point. It will be interesting to see how it will play out. I keep holding out hope that something comes back or someone finds a new 5x gold mine lol…but probably a pipe dream at this point. I think you could load up on bonus travel points w the Ink Preferred while waiting to go under 5/24. URs don’t really devalue & by the time you accumulate enough to have some real fun with redemption you might have the CSR for the 1.5. Doesn’t have to all happen simultaneously! You could accumulate solid bonus travel points now with the Ink Preferred while waiting on 5.24. By the time you accumulate enough for good redemptions you would hopefully then have the CSR 1.5. Assuming you are making out your 50k per year on the plus, and assuming 5k of that is cell and internet related, that’s 45k in MS gift cards that you are leaving behind, or 225k chase points, which is unlikely to be made up by the added benefit you will get from UR points over TYP, or Hilton Points. But you may be like me and want to quit MS and just maximize your return on legit spending, in which case the switch makes perfect sense. So the question would be whether you want to keep MS or not, and that will guide your decision. Also…if you PC to the CIP & then later do get the CSR, you can then PC the CIP to the Ink Business Cash & go back to the 5x categorie (you are then fully covered for your spend categories). If you purchase shipping, as most small resellers do, through Ebay and Amazon, you aren’t going to get bonus points! That leaves categories you don’t use much to replace one where you would get 5x? Dave thanks for the info. I am surprised paying for USPS through eBay doesn’t count. Good to know. I know it bills as Ebay Inc Ship but I thought that would still trigger the shipping bonus. You are using their Commercial Plus account for discounted shipping. Used to be handled by Paypal, now the lines are grey. You can always choose to have your own account, but the discount exceeds the card perks. Though I have been reselling since 2000, I have never seen a need to use a third party service like Stamps.com until this year. I need to run the numbers but I spend over $1,000 a month easy on shipping charges. Probably covering my monthly subscription with CC cashback (2%). Ebay and Amazon (FBM) shipping are free to use, for small shippers that is the better bet. The preferred just seems like a step down in the same way as the Freedom Unlimited is. Chase must think they have been too generous in the past! Thanks for the info Dave! I appreciate it. Enjoy reading your articles. I’ve been having some of these same thoughts, especially with the annual fee coming up soon. Thinking about possibly downgrading to the Ink Cash, so I can still get 5x at office stores from time to time. The whole VGC to MO thing is too much a PITA. I’ve been valuing my time a little more than the rewards on those deals lately. That would leave me without a premium card but all of my travel is paid for until next year, so I may consider upgrading my CFU to a Preferred or Reserve card next time I need to use some UR. Thanks for the kind words Justin. I think that sounds like a solid plan if you don’t have any immediate needs for UR points. Only potential downfall I see is if they won’t upgrade the CFU but I don’t see any reason they wouldn’t. I was on the same boat as you but I was way under 5/24.. more like 1/24. I didn’t care about points before, but then I got hooked up with Amex Bus Plat then that is when I started reading more into earning points etc. I had to evaluate my spendings too like you did. Ink Plus is a keeper for me as well. Ink Business Cash is a good alternative for 0 annual fee, but lowers the cap on 5x earning categories from $50k down to $25k and you lose 25% added value on points. This is where the CSR comes into place, but since I just opened an AmEx business plat, i held off. My though process right now is how to max out point earning, which I am strongly considering Ink Unlimited and earn 1.5x on ad spend. When I evaluated the CIBP, 80k sign up, $95, x3 on travel, shipping and advertising at $150k cap. At this time, I use more of the 5x of the CIP-> office supply stores, cable, internet. If the CIBP had dining, i would have considered it. So my plan is Chase Ink Unlimited + maybe CSR (for UR up value and perks). I enjoy your valuation, and thought process. Good to see it isn’t me going crazy evaluating things. Thanks for the comment. With the way banks keep changing the rules we need to think every decision through and make sure we are making the best decision :).